If evolution is a random phenomenon of nature, evolution should be an ongoing process and should be observed today. We observe microbes assimilating genes from other microbes and mutations giving some bacteria resistance to antibiotics. We see Darwin�s finches branch out into different species on the Galapagos Islands. These are among many ubiquitous examples of speciation by natural selection. To illustrate one of the problems associated with evolution by natural selection, let us consider gene and DNA creation. Before gene decoding, it was generally believed that humans contained about 100,000 genes. After decoding began, estimates arrived at 30,000 genes. Recent decoding has led a number of researchers to challenge the early decoding estimates. An average of recent estimates by scientists is 66,000 human genes. A bacterium like E. coli is seen to have about 4,000 genes. E. coli is far from primitive and even though bacteria in the Cambrian period likely had fewer genes, we can use the number of genes in E. coli to represent Cambrian bacteria, 600 million years ago. If we determine the number of genes that have been added to the mammalian phylogenetic branch since then, 62,000, and then calculate the rate at which they must have been added over 600 million years to arrive at the number of genes in a mammal today, we find that one gene is added every 10,000 years. If we consider 1000 mammals from aardvarks to zebras, we should have observed at least one gene added to a member of this group of mammals every ten years as well as a number of different additional genes in some lines of Homo sapiens. If we assume the Homo sapiens branch occurred 100,000 years ago, there should be as many as 10 different genes in each of the human races, yet Homo sapiens is a single species! Three obvious alternatives are: 1) All branches of Homo sapiens added the same DNA in parallel evolution. 2) All branches of Homo sapiens are of recent origin. 3) There have been intermarriage among all races and tribes no matter how isolated some appear to be. Many genes are analyzed by the proteins they produce, but only a small fraction of DNA actually decodes proteins. Some of the undeciphered DNA in chromosomes between genes likely contains important information besides helping separate the genes and making the exchange of alleles between chromosomes during crossing over easier during late prophase. A more universal agreement among genome researchers is the number of DNA base pairs � 3.1 billion in humans and 2 million in E. coli. Mammals have nearly the same number of base pairs as humans. When we take the more accurate count of DNA base pairs, instead of genes, we find that 3 billion base pairs need to be added to the mammal line in 600,000,000 years, or five base pairs per year. This means an average of five base pairs per year added to each human and each mammal. In the 5000 years of recorded history, 25,000 additional base pairs must have been added to the progenitors of each human!! There are 2175 bases in the primary (exon containing) transcript of the mRNA gene for preproinsulin. The protein coding sections in the primary transcript are called exons and they contain 465 bases. The total mRNA transcript decoded from DNA contains almost 5000 bases. Thus, the exons represent 9.3% of the transcripted insulin gene while the primary transcript represents 44% of the bases in the total mRNA insulin transcript. The exons in the primary transcript are separated by sections called introns. It would be premature to not count the introns as essential parts of the gene even though you can get along without them when placing insulin genes in E. coli . Genes are a significant percentage of DNA and mRNA. They have been estimated to be only 5% or so because of the large number of bases in the genome and the comparatively small number of genes. If we assume an average of 2000 base pairs per gene, and if 10% of the base pairs became genes, we arrive at 1.2 additional genes per human since our ancestors lived in Mesopotamia. If we assume the beginnings of Homo sapiens was 100,000 years ago, each isolated race line should have added 500,000 different base pairs and 24 somewhat different genes from inhabitants in other isolated areas. Surely, this is did not happen! If these calculations are correct, it would seem that phylogenetic evolution has not occurred during the past 5000 years, or even the past 100,000 years� if one believes that Homo sapiens has existed for that length of time. All we see in natural selection is speciation�the mutation and shuffling of extant genes. Of the three explanations mentioned to explain this dilemma, Ockham's razor would point to all branches of Homo sapiens being of recent origin. If we determine the number of genes that have been added to the mammalian phylogenetic branch since then, 62,000, and then calculate the rate at which they must have been added over 600 million years to arrive at the number of genes in a mammal today, we find that one gene is added every 10,000 years. If we consider 1000 mammals from aardvarks to zebras, we should have observed at least one gene added to a member of this group of mammals every ten years as well as a number of different additional genes in some lines of Homo sapiens. You'll have to reassess all conclusions deriving from this false logic. If we assume the Homo sapiens branch occurred 100,000 years ago, there should be as many as 10 different genes in each of the human races, yet Homo sapiens is a single species! Whether your calculated figure is valid or not, the "one gene added every 10,000 years" is an average, not a requirement. Large populations tend to evolve very slowly. The variety of hominid finds prior to the emergence of Homo sapiens may be an indicator of faster evolution in the past. But I wouldn't get too attached to your average one new gene/10,000-years figure. Small changes to this rate applied over the billions of years since bacteria mean you can get about any result you want. One gene per 10k years seems slow enough that most alterations could be transmitted through the global population by now. Another problem I have with your model is that it deals in years, not generations. Percy, Thanks for your rapid response. Perhaps the rapid evolution prior to Homo sapiens was related to the earlier rapid expansion of the universe. (Joke!) It seems logical that large populations would slow natural selection and evolution, but how do we know that the precursors of Homo did not exist in population as large as Homo? Do you consider the aborigines in Australia too large a population to have developed genes different from Caucasians? 1. 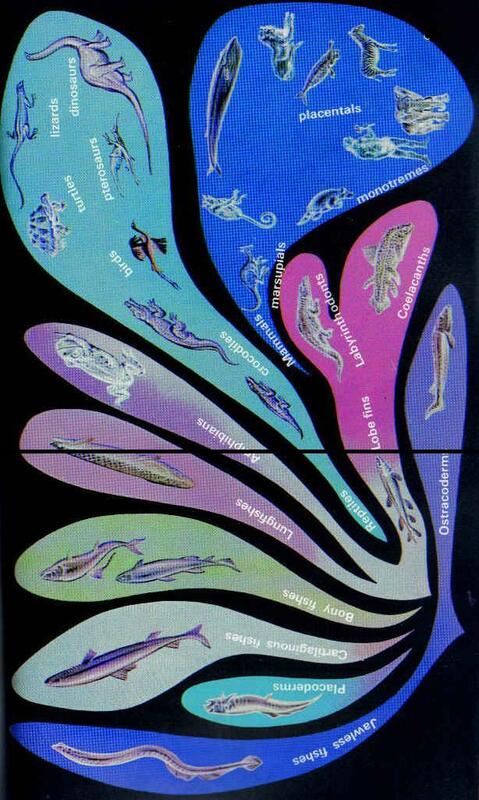 The last common ancestor of bacteria and humans is surely far older than the Cambrian. Plentiful fossil evidence exists of metazoan life in the preCambrian. Lets adjust your 600 million number up to about 2 billion years. 2. The number of genes is debatable, as you pointed out, so there is no reason to quibble about 30K or 100K or 66K genes. We can use your 66K number - if we are wrong, it is not by more than a factor of 2 or so. 3. It is definitely a mistake to assume that all speciation events and distinctions between organisms are the result of entirely NEW genes. IIRC, chimps and humans share almost 100 percent of their genes - there are no genes that chimps have that humans don't have, and only one gene that humans have that chimps don't have. Of course, there are small differences in many of these shared genes at a base-pair level. 4. So your statement... "A more universal agreement among genome researchers is the number of DNA base pairs � 3.1 billion in humans and 2 million in E. coli." ... is probably a more accurate gauge of the long term changes in genomes between bacteria and human. Again, some of your numbers probably need some minor tweaking, but the final munber - "each isolated race line should have added 500,000 different base pairs" - is probably pretty close. Your incredulity... "Surely, this is did not happen! " ... is insufficient to prevent it from being essentially true. Perhaps you should have done some research first to find out the actual level of diversity in the human genome. Do a web search on "SNP human genome"
"...brings the total number of SNPs in the Celera SNP Reference Database to 2.8 million. The average SNP density along the human genome is one SNP per 1,250 base pairs." So your 500,000 number is a little low. But not bad for a beginner. And welcome to the EvCforum. You're actually asking whether there is enough information to conclude that Homo sapiens could not have evolved using evolutionary processes as we currently understand them. I share anyone's amazement that such could have come about. As I stated recently in Message 35 of the thread Page's misuse of Haldane's Dilemma, "How did the angle of the hip joint change? What about the orientation and shape of the pelvis? How about the angle of the skull on the backbone. What about skull and brain changes? How much, when, how fast, sequentially or all at the same time? We don't know." Question: When a new batch of genes is developed in an organism, such as the insulin genes (regulation, cleaving enzymes, etc. ), what results when the organism mates with an existing organism without such genes? How much of a gene difference prevents fertilization? This is a mystery to me, perhaps someone here can explain it: how does a new gene come about? A new allele (a new possibility for an existing gene) is easily understood, but a new gene, now that's feels difficult. An offspring somehow has a new gene (mutation, copying error, etc. ), so what will happen when it mates? Assuming it's still reproductively compatible with others of its species, what will happen to this new gene when the haploid sperm and egg combine? You have some good questions! I hope you don't mind the off-topic question, but are you descended from "the" Martin Harris? The organism will be hemizygous for the gene. Are you trying to find out if I am LDS? If so, I am. I have not found any connection to Martin Harris, who I believe came from southwesten England. My progenitors came from the midlands. If you want to persue some creationist-science viewpoints, I would enjoy further discussion. I even wrote a book on the subject called, "From Man to God." I guess my question really is when would a new set of genes in one organism make it uncompatible with and organism with out the new set? In an article called, Beyond Physics (Scientific American, Aug. 1998, page 20), renowned scientists contemplated the evidence for God. Allan R. Sandage, one of the father�s of modern astronomy, asked several hundred scientists and theologians if there were sufficient evidence to support a belief in a Jedeo-Christian god. Many of the scientists had as belief in a supreme being but could not support their belief with scientific evidence. About two dozen, nearly all at the top of their fields, arrived at a different conclusion. 1. God and man are of the same species and we are his spiritual offspring. I will begin the indirect evidence support with NDEs (near death experiences). The best reference I can give you is the book �Fingerprints of God� by Arvin Gibson, Horizon Press,Bountiful, Utah, 1999. This is a book written by a scientific professional and has analyzed dozens of NDEs. Gibson correctly asserts that studying NDEs can be done with scientific methodology, you just have to pick those who claim NDEs as your test subjects. There is a large amount of out-of-body experiences of events occurring that can not be explained otherwise and correlates with other NDEs. He is interested to get comments on his ideas from forum readers. If I cannot get him to join the forum, I will submit some of his findings. The Anthropic Principle (coined by Brandon Carter), the complexity of design motif that many forum members have addressed, the bible as history, and grand design logic. In an article called, Beyond Physics (Scientific American, Aug. 1998, page 20), renowned scientists contemplated the evidence for God. I've uploaded a copy of the article. As the caption beneath the unfortunately missing picture asks, was our universe custom made, or were we just lucky? The odds of winning the lottery are very small. The winner considers himself extraordinarily lucky. He thinks it almost miraculous that he should have won. Yet the odds of someone somewhere winning are very high. While it *does* occasionally happen that no one wins, it doesn't happen often. Or consider the likelihood that you'll have a son, that your son will have a son, that that son will have a son, and so forth forward for a thousand generations. What are the odds? Pretty tiny, right? But guess what? You yourself are the product of thousands and thousands of generations of sons begetting sons. You yourself are the winner in a lottery of unimaginably tiny odds. And guess what's even more amazing. There are around 3 billion other similar winners on the planet with you!!! So don't read too much into the anthropic principle. At heart it's an argument from lack of knowledge of both the universe and statistics. I am not sure of the answer and not a specialist in genetics but if there were not such things as "linkage groups" or what is the final cause (in Aristotle's sense) of these relations associated with chromosomes one would be one the way to an acutal answer. Transposable elements may be a place to begin an elboration of solution on which the structure would also have to be afforded no matter the placement of the mutation inside or outside this picture. But by this sentence I get a litte bit into speculation and not what is already being taught. Percey,The following are comments on your responses 1, 3 & 4. 1. Does anyone have information on the number of genes in the first protozoan ancestor of Homo? I thought you could see that my model does not depend on that. I am satisfied to let the number of genes in E. coli represent a later protozoan at the beginning of the Cambrain. If you have any better information on the number of the genes in such a protozoan, I am interested to know. 3. If chimps and humans have the same genes, why aren�t chimps human? I had already stated that mammals have about the same number of genes as humans. The fact that they both make similar hemoglobin or differ in only amino acid in cytochrome C misses the point again. Just pretend that man was the only mammal that developed and go through the model again. 4. You still don�t get my paradigm! Of course all humans have different SNPs, otherwise we would all look alike. What I am talking about is additional genes and bases that must have been added to the Homo lines since it began and that we should still see it today in isolated tribes. If Tay-Sach�s disease could arise in Ashkenazi Jews, why couldn�t some new genes just as well have developed?